Modern Media Tech will setup your wireless router for use on your home network and connect up to 5 devices. Technician will conduct a pre-installation site survey (any add-ons will be quoted by installer before installation begins). Installation and setup of your wireless router to existing cable/DSL modem. Connection of up to 5 devices to network (i.e. TV’s, Blu-Ray Player, Computers, Smart Phones). 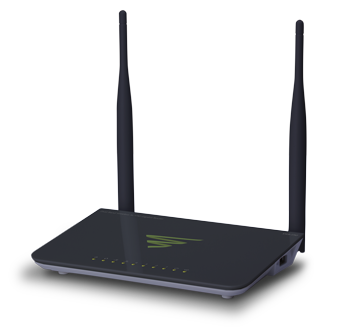 Secure wireless network with highest level of security supported by router to prevent unauthorized access. Verify everything is functioning properly. Document all user names and passwords for your records. Provide a brief demonstration of how to access newly setup network. Router or any other equipment. Wires hidden within walls, holes drilled or any type of custom wiring. Electrical outlet relocation or electrical work/service of any kind. Network cables (can be purchased from Modern Media Tech at an additional charge). Use of a Surge Protector is highly recommended. If you do not currently own a surge protector, Modern Media Tech can supply one for an additional $35.